Elaine Greenblatt of Newburgh, NY passed away peacefully at home on November 24, 2018 after a long and courageous battle with metastatic breast cancer. The first child of Bella and Seymour Greenblatt, she was born in Newburgh while her father was away at war in the South Pacific, meeting him for the first time when she was two. They quickly made up for lost time. Always an excellent student, she graduated from Newburgh Free Academy in 1961 with honors. She attended the University of North Carolina at Greensboro, spending her junior year at the Sorbonne in Paris where she developed a never-ending love for that city. Elaine returned to complete her bachelor’s degree in American History at Greensboro in 1965. She then began a graduate program in American History at Columbia University. While at Columbia, she assisted in compiling the John Jay papers, re-discovering a love for the law first instilled in her by her father. After completing her graduate studies, Elaine began to study the law in earnest at Brooklyn Law School, obtaining her Doctorate of Jurisprudence in 1980. She began her legal career as an associate to Herald Price Fahringer, one of the most respected criminal defense attorneys of the time. After working with Mr. Fahringer on the Jeanne Harris case, she decided to shift gears, entering the world of hostile take-overs at Fried, Frank, working far too many hours away from her daughter. Desiring a better family life, Elaine returned to Newburgh in 1983 and began work as an assistant County Attorney in Orange County. When New York State began a pilot program to ease the burden on the Family Courts, she applied for and became one of New York’s first Hearing Examiners, charged with the responsibility of making sure that parents paid child support. Her tirades against errant parents, for whom she had no patience, could often be heard outside the courtroom. When her position was elevated to Support Magistrate, she was transferred to the Dutchess County Family Court where her dedication to the welfare of children became well-known, especially by parents who had failed to comply with her orders. She retired from the Court in in 2013 but continued to keep abreast of the law through her friends and colleagues for the rest of her life. Elaine was a voracious reader, an avid gardener and an opera lover, but most of all she loved her daughter Stephanie and her granddaughter Dylann, who she visited often in California. She is survived by her daughter, Stephanie, Stephanie’s husband Brian and their daughter Dylann, her brother Richard and his wife Louise, her sister Debra and her husband Edward and her brother Michael and his wife Elizabeth, many nieces and nephews who all loved their Auntie dearly, and her amazing dog Millie. A memorial service will be held at the Temple Beth Jacob in Newburgh on Sunday, December 2, at 11:00 AM. Arrangements are by the Doulin Funeral Home in Newburgh. 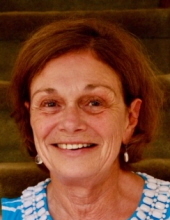 In lieu of flowers, please send donations in Elaine’s memory to St. Luke’s Cornwall Hospital, Newburgh, NY or to support the research of Dr. James Harding at Memorial Sloan Kettering Cancer Center, Attn: Elliott Pollock, 885 Second Avenue, 7th Floor, New York, NY 10017. Please indicate that your gift is in memory of Elaine Greenblatt. The family wishes to thank the staff and physicians at St. Luke’s Cornwall Hospital for their loving care during some of Elaine’s most difficult hours, her many, many friends who stood by her throughout her final battles, and Hospice of Orange County for their guidance during Elaine's final days. To send flowers or a remembrance gift to the family of Elaine Greenblatt, please visit our Tribute Store. "Email Address" would like to share the life celebration of Elaine Greenblatt. Click on the "link" to go to share a favorite memory or leave a condolence message for the family.